Editor's Note: The Tire Review 2018 Business Finance Guide is sponsored by Snap Finance, a digital-finance company that specializes in providing consumer financing and rent-to-own purchase options. According to a study by the Federal Reserve, 46% of adults in the U.S. would not be able to come up with $400 to cover an unexpected expense. What’s more, over half the U.S. population has a credit score that falls below prime. What does this mean for you and your business? It means a good percentage of people in your store want or even need to make a purchase but can’t. These customers are interested in your products but walk out empty-handed because they can’t pay for their purchase in cash and don’t qualify for traditional financing. These missed sales negatively impact your business! But what solutions can you offer customers with credit concerns? How do you best identify and work with these customers? And what can a non-prime financing solution do for your bottom line? Let this article be your guide. Overall, outsourcing your financing wins as the most stress-free and risk-free option. A third-party company pays you for the product or service up-front, and your customer pays the financing company back through a payment plan. You do not have to worry about billing or collecting payments. Plus, if a customer defaults, there is no negative impact on your business. Before you begin promoting non-traditional financing to your customers, you need to know the best way to explain it to them. After all, you want to help them take advantage of the financing – not scare them away by overwhelming or confusing them. To start, it’s important to find out what each customer’s motivation is for coming into your store. Are they shopping based on family needs, budget pressures, social/emotional needs or brand preferences? Finding this out will help create a trust and understanding between you and the customer, while also making it easier to identify which customers would benefit from nontraditional financing. In addition to understanding your customer’s motivations, you should learn as much as you can about the financing you offer. Knowing your financing program inside and out will help you promote it more confidently. Once you have that confidence, talk about your financing up front to show that your product or service can be affordable. For customers to spend more, they have to know they can. To do this, make sure your customers are aware of financing options before, or even while, they’re browsing. This will help discourage any cost objections the customer may have. Another good idea is displaying marketing materials for your financing throughout your store. When a shopper sees posters, banners, and flyers describing a low-cost, flexible payment option, it can draw them and prompt them to learn more. You can generate an interest in your financing without even saying a word! By making it clear at the beginning that the purchase will be affordable, you’re much more likely to close the sale. Now that you know how and when to offer financing, it’s time to discuss what is arguably the most important aspect: why. In other words, what can nontraditional financing do for your business’s bottom line? The answer is a lot. Offering financing to your customers can boost your sales, improve customer loyalty, and build repeat clientele. Non-traditional financing converts shoppers that would have otherwise abandoned the sale or purchased at a smaller amount. When you give your customers more buying power, they’re much more likely to complete a transaction and spend more per transaction. Once shoppers experience the perks of nontraditional financing, they return as satisfied customers who appreciate the easy payments you offer. This drives repeat sales. These loyal customers trust doing business with you and know that their budget can handle the purchase. To sum it up, nontraditional financing converts people who are simply looking or considering a purchase into loyal customers who buy your product. Now that you know the benefits of offering customer financing, it’s a good idea to know what to look for when deciding which financing company is right for you. Not all financing companies are the same and many are not the best option for your business. No impact to revenue if customer does not pay. If a good percentage of your clientele has bad credit or no credit history, make sure the company offers financing to this customer. Is There a Spending Requirement? If there is a required purchase amount on a single transaction, make sure it aligns with your products. Some finance companies will set a minimum purchase of $1,000, while others will be much lower. The financing you offer is most valuable for your business if it’s affordable for your customers. Even though the financing company is actually lending the money, your customers will still have your business in mind when they pay their bill every month. To ensure your customers continue to think positively about your business, strive to find the customer financing option with the best possible rates. Is the Program Easy to Implement and Use? Finding a customer financing solution that is easy to implement, doesn’t require extensive training, and doesn’t require you to spend money on new technology is essential. You should also consider and test out the digital application process. It should be quick, easy, and simple. Otherwise, the customer may become frustrated over the whole process and cancel the purchase. What kind of businesses have they worked with in the past? Do they allow you to offer customers promotional offers and special rates? Knowing whether a customer financing program will benefit your business will take some careful consideration. 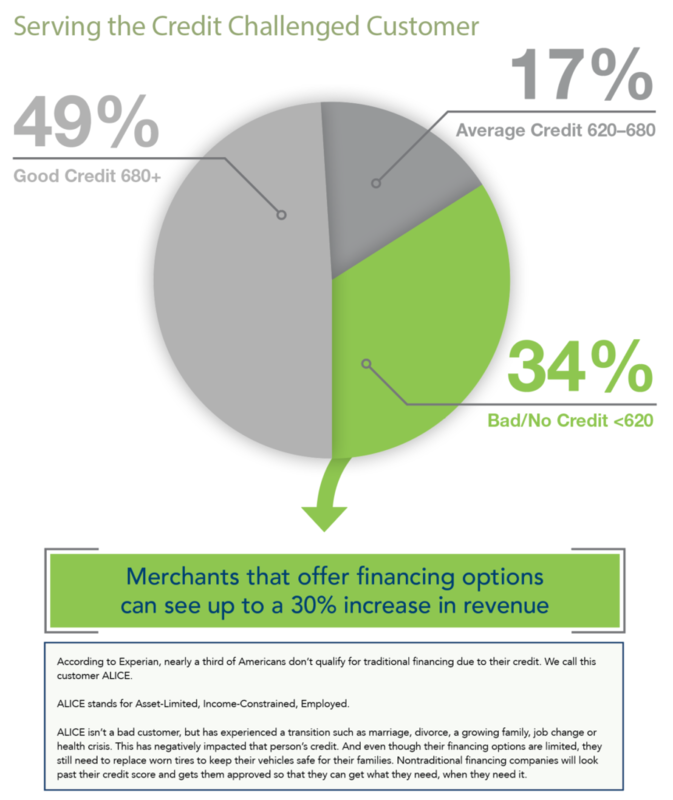 When considering working with a financing company, take in mind the specific needs of your customer and your shop. Finding the right partner can be a win-win and drive sales while creating happier, loyal customers in the process. 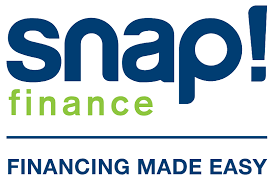 The Tire Review 2018 Business Finance Guide is sponsored by Snap Finance, a digital-finance company that specializes in providing consumer financing and rent-to-own purchase options.